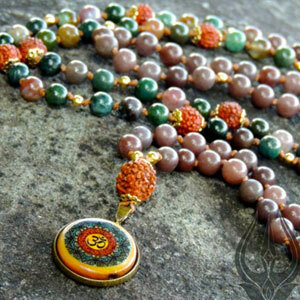 Parā Devi is the primordial Goddess from the Shrividya tantric tradition. 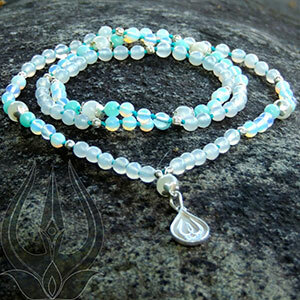 She embodies the virtues of intuition, divine knowledge, creative inspiration and unconditional love. 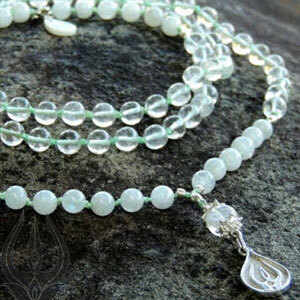 She is said to have a crystal body that shines as bright as sunlight reflected upon snow! 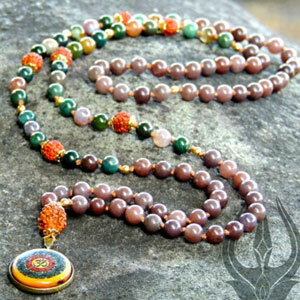 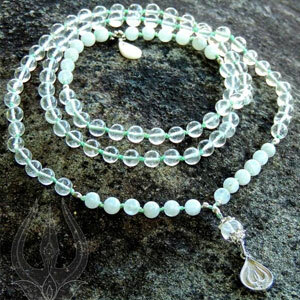 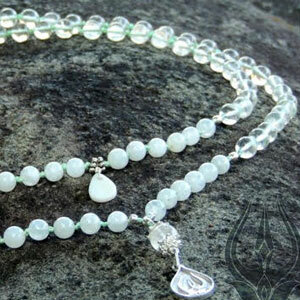 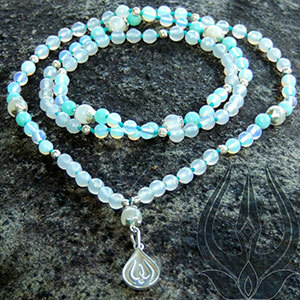 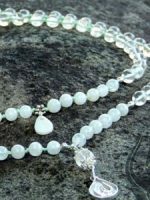 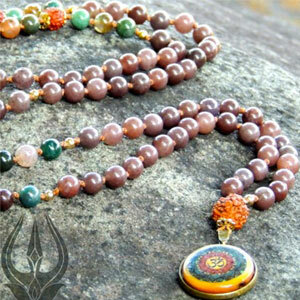 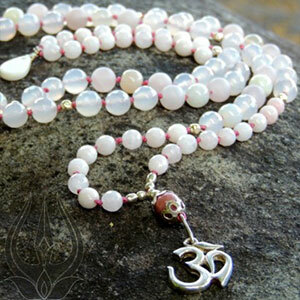 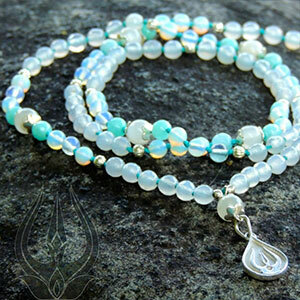 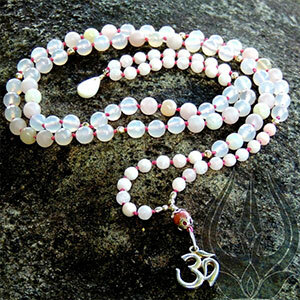 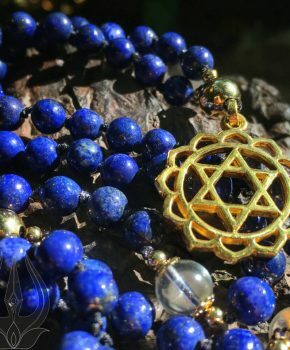 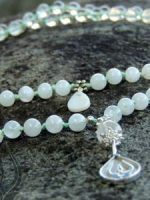 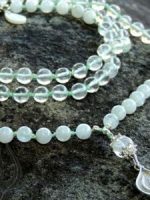 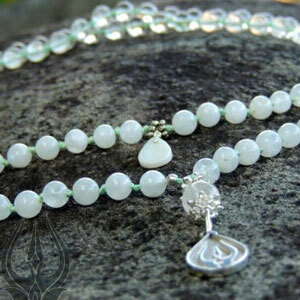 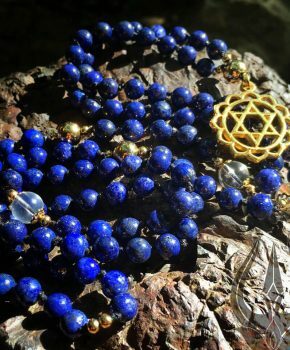 This Mālā inspired in Parā Devi is made with clear crystal, moonstone, conch and silver ornaments.